As has been my tradition, every sermon that I preach will be posted here. This sermon, The Best Gift of all time, was given at The Salvation Army Devonport on Sunday 8 June, 2014, Pentecost Sunday. The Reading was Acts 2:1-21. What was the best gift that you’ve ever been given? Think back over all your birthdays, Christmas, random gifts just for being gorgeous, what was the best gift that you’ve ever received? When I think back, there’s three gifts that really stand out for me. I’ve brought two of them here today, so I’ll talk first about the one I don’t have. Back when I was about 10, for my birthday I was given a SNES by my parents. This was my first gaming console, and started me on a wonderful journey of gaming that progressed through the Gameboy, N64 and eventually onto PC gaming. 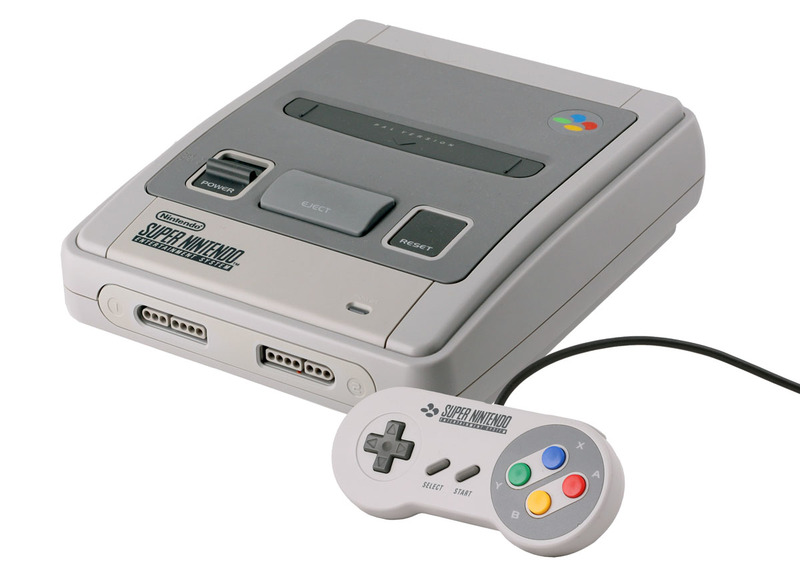 I don’t really want to admit how much money I’ve spent on gaming products, but that first system, that SNES, that holds a special place because it was, for me, my first introduction to the world of gaming. The picture of how I had my room painted. The second gift was this painting, which is currently normally hangs in our lounge room. This was my 21st birthday present from my parents. I was repainting my room, and I wanted it to reflect my love of the violin. So we colourmatched my violin, and I painted two black F-holes on the wall, and we chose this painting to hang between them. I look at this painting, and I remember back to my 21st, I think of my parents, and the support they’ve given me over the years. Finally, we come to this, my violin. The label says that it is a 1796 Josef Klotz, however it’s actually a copy, made around 1900 by an unknown German luthier. 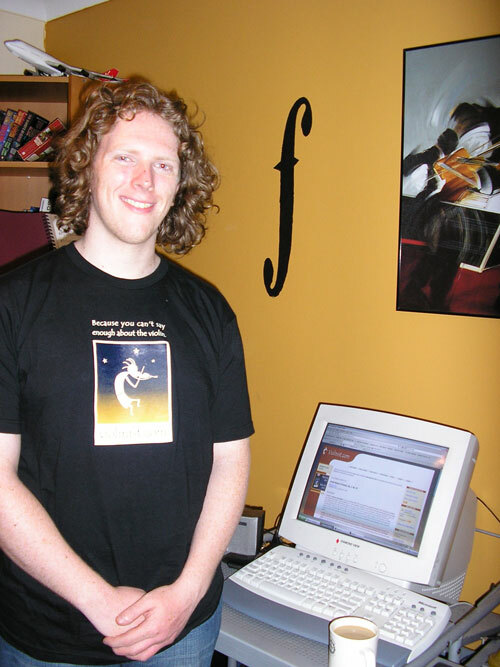 When I started to take the violin seriously, I needed a better quality violin than the one that I had, which was a 1995 Chinese copy of a Stradivarius. My dad knew of this woman, who had lent him this violin when I first started. She offered to lend me the violin while I was taking my exams. All through high school, and then into University, I played this instrument. I learnt it, and through playing its tone which had sat dormant for many years, developed and became my tone. But while it was my tone, I knew that it wasn’t my instrument, and that one day I would need to give it back. My thought was that once I finished my university degree, that I would need to give it back. I played my graduation recital, and invited the owner of the violin to come to dinner afterwards. At dinner, she announced that the violin was now mine, that it was her gift to me. So while those other two gifts were incredible, if push came to shove, I would have to say that this was the best gift I ever received. We generally get gifts when we celebrate the birth of something. Sometimes we get them for other things, such as graduation presents, but for the majority of us, our gifts come at either our birthday, or at Christmas – celebrating the birth of Christ. Today we celebrate Pentecost, which is often regarded as the birth of the Church. As we heard in the reading, today is when God sent his Holy Spirit down to dwell within Christ’s followers, and empower them to continue the ministry of Christ, even though Christ had ascended back to heaven. Jesus felt that the outpouring of the Spirit was going to be so significant that he wanted to make sure that they were all there to receive it. He emphasized it at his ascension, when he said to his disciples “But you will receive power when the Holy Spirit has come upon you; and you will be my witnesses in Jerusalem, in all Judea and Samaria, and to the ends of the earth.” These are the last recorded words of Jesus. I figure, if this is the last thing that Jesus said on earth, it was probably pretty important. For too long, the infilling of the Holy Spirit and the exercise of gifts of the Holy Spirit have been thought to be the realm of the Pentecostals. Indeed, in the Salvation Army, we have a rocky history with gifts of the Spirit often being met with uncomfortable glances, often to the point of exclusion. But the reality is that the infilling of the Holy Spirit and the exercise of gifts of the Holy Spirit aren’t just for Pentecostals, but for every Christian. That’s why we don’t celebrate water baptism here in The Salvation Army, because the baptism that matters for us is the baptism in the Spirit. Now concerning spiritual gifts, brothers and sisters, I do not want you to be uninformed. 2 You know that when you were pagans, you were enticed and led astray to idols that could not speak. 3 Therefore I want you to understand that no one speaking by the Spirit of God ever says “Let Jesus be cursed!” and no one can say “Jesus is Lord” except by the Holy Spirit. Now, Paul does talk about the things that we would refer to as spiritual gifts, such as speaking in tongues, prophecy, healings etc. But at the beginning of this discussion, Paul says that there are varieties of gifts, as well as varieties of services and varieties of activities. And each of these come from the same God, through the Holy Spirit, according to his will. Now Paul focusses on the Gifts, because he is correcting the Corinthians because of their emphasis of gifts over and above love. But what we can see here is that the varieties of gifts, services and activities point to the fact that what the Holy Spirit activates in believers is more than just the traditionally recognised spiritual gifts. Now the word used for Gifts, this has the sense of gifts of Grace. These are the special, supernatural – as in, above nature – gifts, specifically the ones mentioned in this passage: words of wisdom, of knowledge, faith, gifts of healing, working of miracles, prophecy, discernment of spirits, tongues, interpretation. All of these are activated by the spirit according to his will. When we look at the word services, it comes from the word for deacon. The position of deacon was established to handle tasks such as serving the widows of the community. These are the practical matters of ministry: feeding the poor, caring for the sick, visiting those in prison. In his second letter to the Corinthians, Paul also describes generous giving as a form of service. All of these services are just as much activated in us as the gifts of the spirit. Finally, the word for activities comes from a word meaning “energy”, indicating anything that we might undertake to do, anything that is accomplished by hand, art, industry, mind… it is an act, deed or thing that is done. Anything done for the Lord falls under this category. The day-to-day things that aren’t glamourous but need doing. Emptying the bins. Cleaning the toilets. Doing the corps finances. All that dirty work. Anything that’s done for the Lord. All of these gifts, services and activities are things that are activated by the Holy Spirit. Sure, they may not be the over the top miraculous things, but they are given and activated by the same spirit. When we receive physical gifts, we often get a bit selfish about them. My SNES was for me to play with. The painting was to hang in my bedroom. 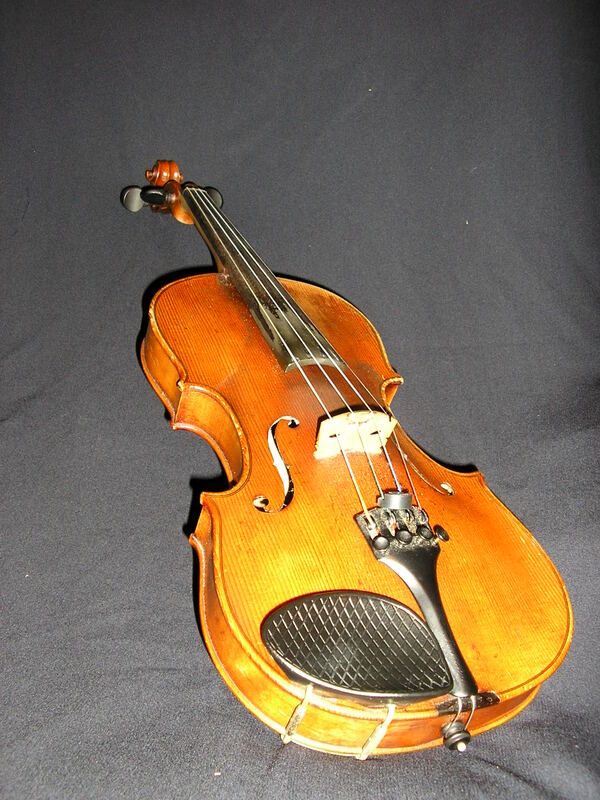 And the violin – though I’m able to make music for others – these days I generally just play it for my own enjoyment. But with gifts given by the Holy Spirit, they are given to us for the common good. God doesn’t give us gifts for our own good, but so that we can serve others. Now, sometimes the spiritual gifts have been abused. I’ve been told by some stranger in the street that unless I had the gift of tongues that I wasn’t a Christian. Some people forget that the glory for the gifts given to us should go to God, and that the gifts we receive should be used in service of other people. Gifts aren’t about who has, or who has not. God didn’t give us gifts, services or activities so that we can feel better than others. We aren’t better than anyone else. Some people are given the service of caring for the poor, but the Holy Spirit hasn’t activated that service in every Christian. Those who have that service shouldn’t judge those who don’t. The passage I read from 1 Corinthians goes on to say how every part of the body is necessary. Likewise, every gift, every service, every activity, no matter how impressive or humble, is just as necessary as every other gift, service or activity. So how should we respond to our gifts by the Holy spirit, knowing that these things can lead to pride, and can end up hurting others? Paul addresses this in his first letter to the Thessalonians. He instructs them: “Do not quench the Spirit. Do not despise the words of prophets, but test everything; hold fast to what is good; abstain from every form of evil.” Basically – don’t throw the baby out with the bath water, but don’t keep the baby in the bath water either. Don’t accept everything just because I tell you to. We need to test everything, holding onto what is good, and letting go of the rest. So how do we test if something is from God? Paul said in our passage today, “no one speaking by the Spirit of God ever says ‘let Jesus be cursed!’ and no one can say ‘Jesus is Lord’ except by the Holy Spirit.” If it glorifies Jesus and accords him His rightful place as Lord then we don’t have a problem. In 1 John 4, we are further advised, “By this you know the Spirit of God: every spirit that confesses that Jesus Christ has come in the flesh is from God, and every spirit that does not confess Jesus is not from God. And this is the spirit of the antichrist”. This is why understanding and holding onto our fourth doctrine is so important – it safeguards us against the antichrist spirit that would have us believe that Jesus was only God or only human, or that in some way there was a confusion between his two natures, one overcoming the other. We are all called to serve one another with the gifts, services and activities that the Holy Spirit has activated within us. And since we are a part of the body of Christ that is called to serve one another, we benefit from the gifts, services and activities that function in others. We will be blessed by the gifts, services and activities that others have received, just as we will bless others with our own gifts, services, and activities. We’re going to have a time of reflection. I would like to serve you, by giving you one of my gifts, the gift of music. As I play, you’re invited to come forward to pray. Maybe you’re unaware of your gifts, services and activities that the Holy Spirit is activating in you. Maybe you have been prideful or judgemental of what the Holy Spirit has activated in you, and you want to repent before God. Maybe you need some help discerning whether something that you’ve seen or heard is from God. Or maybe you need help to graciously accept the services or activities from other members in the Body of Christ.